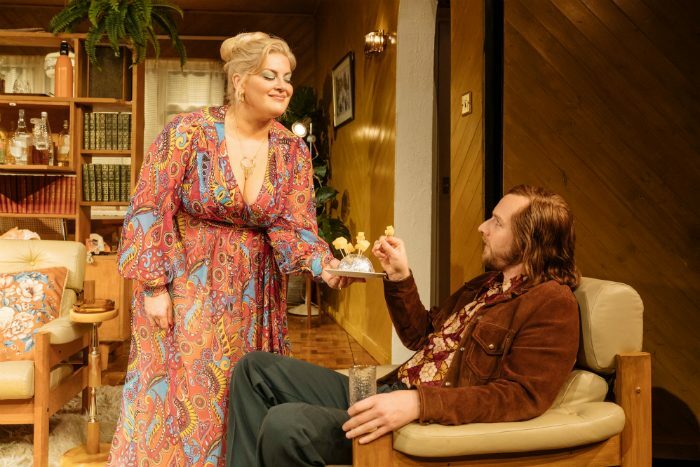 Jodie Prenger is to star in Abigail’s Party, Mike Leigh’s acclaimed comedy, when its major UK tour arrives at Manchester Opera House in April. What is Abigail’s Party about? Beverly (Jodie Prenger) and her husband Laurence are throwing a party for their newlywed neighbours, Tony and Angela. Joining them is highly strung Susan who’s been banished from the party of her teenage daughter Abigail. Welcome to 1970’s suburbia and its heady mix of free-flowing cocktails, classic disco and cheese and pineapple sticks. As tensions rise and tempers flare the sheen of respectability is torn away by the warring couples with hilarious and potentially disastrous consequences. The play, written in 1977, has become one of Britain’s most celebrated comedies. It was described by The Guardian as ‘One of the greatest plays about the human condition ever written’. Who is appearing in Abigail’s Party at Manchester Opera House? Jodie Prenger stars as Beverly. She landed the role of Nancy in Cameron Mackintosh’s revival production of Oliver! at the Theatre Royal, Drury Lane after winning BBC 1’s I’d Do Anything. She won the 2010 Whatsonstage Theatregoer’s Choice Award for Best Supporting Actress in a Musical. She then went on to play The Lady of The Lake in the Spamalot UK tour and in the West End at the Playhouse Theatre, and Dolly in the National Theatre’s production of One Man Two Guvnors at the Theatre Royal Haymarket. 2015 saw Jodie star in the title role of Calamity Jane on the UK No. 1 Tour followed by a Christmas run of Annie at the New Theatre, Oxford in the role of Miss Hannigan. In 2016, Jodie starred in a new UK tour of Andrew Lloyd Webber’s one woman show Tell Me On A Sunday and in the autumn, Jodie reprised the role of Madame Thenardier in a special production of Les Miserables in Dubai Opera Theatre. Jodie has guest presented for Elaine Paige and Paul O’Grady on many occasions with BBC Radio 2. Other BBC Radio 2 appearances include Wogan, co-hosting Going Out With Alan Carr, Chris Evans’ Breakfast Show, The Olivier Awards 2010 and Children in Need 2009 with Graham Norton. Recently, Jodie starred in the one-woman UK tour of Shirley Valentine, and has just finished playing the role of Kelly in the production of Kay Mellor’s Fat Friends on its UK Tour with music written by Nick Lloyd Webber. The production features Vicky Binns as Angela, Calum Callaghan as Tony, Daniel Casey as Lawrence and Rose Keegan as Susan. Vicky Binns has had long-running roles in Coronation Street, playing Molly Dobbs for five years, and Emmerdale as Ollie Reynolds for four years. Her theatre work includes The Winter’s Tale and To Kill a Mockingbird at Bolton Octagon and Lina Lamont in a recent tour of Singin’ in the Rain. Daniel Casey is probably best known for playing Sergeant Troy in six series’ of Midsummer Murders. 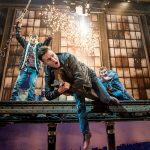 His theatre work includes Roger Shears in the award-winning West End production of The Curious Incident of the Dog in the Night-Time at the Apollo Theatre the Gielgud. Calum Callaghan’s TV credits include: Black Mirror for Netflix, Mr Selfridge (ITV) and Our World War and Torchwood for BBC. 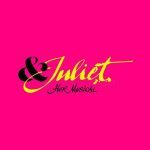 His most recent theatre including Junkyard for Headlong/Bristol Old Vic/Theatr Clywd, Cymbeline at the Sam Wanamaker Playhouse, Once a Catholic, directed by Kathy Burke and Port at the National Theatre. Rose Keegan’s film and TV work includes Harry Potter and the Deathly Hallows, Match Point, The Mirror Crack’d and Gimme Gimme Gimme. 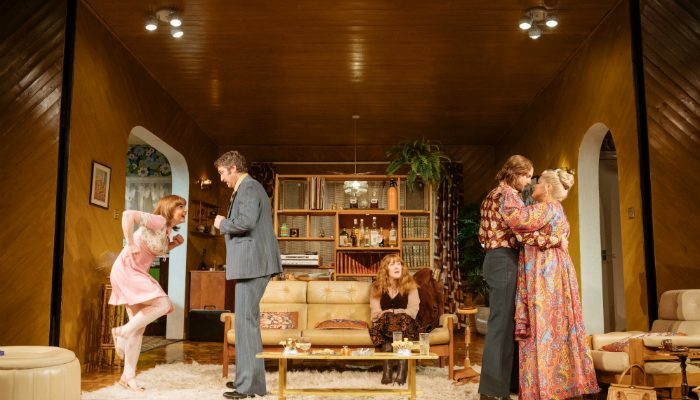 Recent theatre includes Susan in the Oxford Playhouse/Theatre Royal Bath production of Abigail’s Party, Stepping Out (Theatre Royal Bath) and A Message for the Broken Hearted (Liverpool Playhouse/BAC). Sarah Esdaile directs Abigail’s Party. She is joined by associate director Mark Maughan, designer Janet Bird, lighting designer Paul Pyant, associate lighting designer, Ed Locke, sound designer, Mic Pool, movement director Lucy Cullingford, dialect coach Charmian Hoare, casting director Anne Vosser, costume supervisor, Yvonne Milnes, props supervisor, Lizzie Frankl and wigs supervisor Andrew Whiteoak. 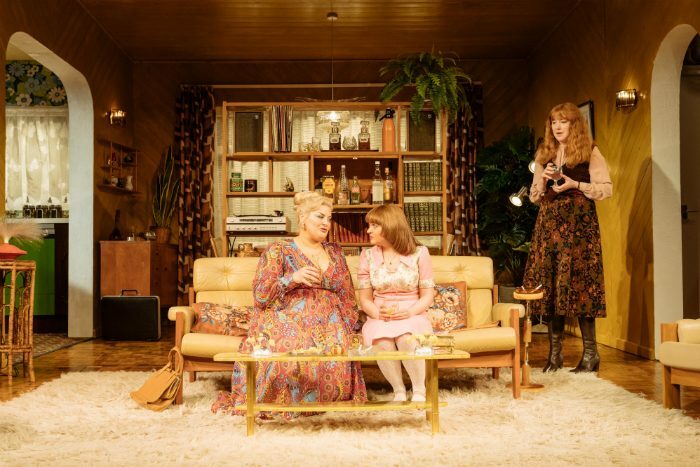 When does Abigail’s Party run at Manchester Opera House? 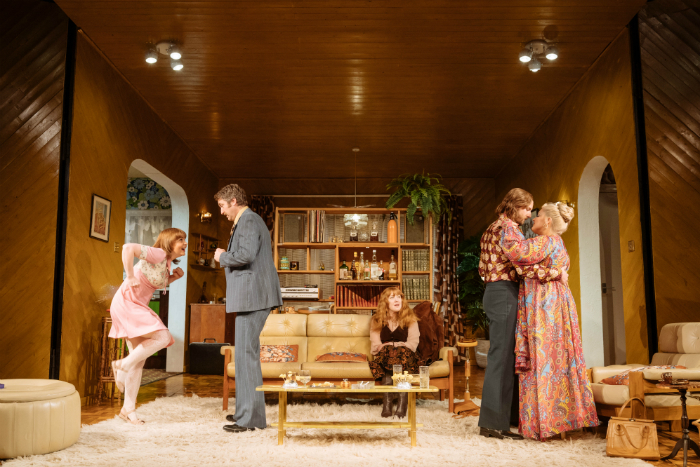 Abigail’s Party runs at Manchester Opera House from 8-13 April 2019.